This 4-piece drum mute set makes muffling your drum kit easy. 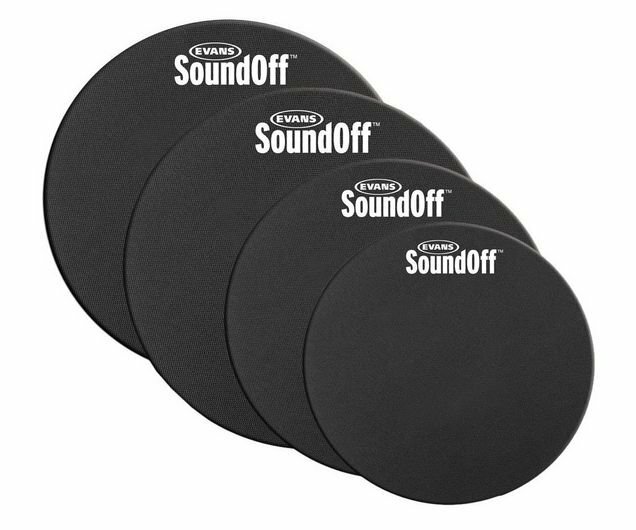 Made from durable, high-density synthetic materials, these mutes fit right over your drumheads, turning your snare and toms into practice pads. SoundOff mutes are a great way to muffle drums, without killing natural stick response.